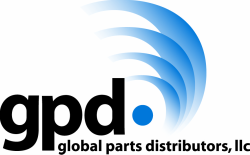 gpd branded compressors come with the correct amount of oil that is required for the vehicle’s system. The easiest way to recognize a gpd compressor is the tag located on the compressor body. The sticker or tag will have a caution notice in yellow regarding the dangers of refrigerant under pressure and will note the type of oil, the viscosity, and amount of oil that is contained inside the compressor. ​Although the compressor comes with the correct amount of oil for the vehicle’s complete air conditioning system, it is always best practice to properly drain the compressor of the oil and measure it to ensure it is correct. Some compressors have a drain plug, while others can be drained at the hose connections. If the vehicle has a rear-air conditioning unit, like a Ford Expedition, more oil will need to be added. Before installing the compressor, always verify the system is clean of contaminates. Flush all hoses, evaporator and condenser to remove all old oil and contaminates. Please note: some condensers can not be flushed and will need to be replaced.